We provide the commercial heating services you need to stay safe and comfortable, and manage energy costs at your commercial business in Barrie. 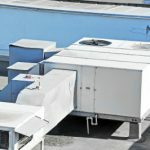 Do you need a company in Barrie, Ontario that can provide commercial heating services for your business? Is it time for your regular maintenance or you have noticed your systems need repair? At L&B Mechanical, we provide the commercial heating services you need to stay safe and comfortable, and manage energy costs at your commercial business. 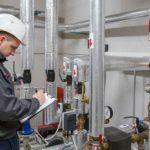 Boiler Services – It takes a professional company with experience and expertise to ensure your boiler is working properly and your business is heated correctly. Whether you need basic maintenance or major repairs, our team can assist you with boiler services. Heat Pump Services – When your heat pump goes out, it can cause serious delays with your normal business operations. Call our commercial heating services team at L&B Mechanical to get your heat pump up and running again. 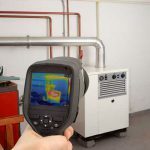 Furnace Services – Staying warm and having a properly working furnace is pretty important for your business. Our team specializes in commercial heating services, so your furnace is always working its best. We also offer maintenance plans, so you never have to worry about furnace services. Your business is in good hands with us at L&B Mechanical. We have 24-hour emergency service, as well as maintenance contracts to keep your business running year round, and we repair all makes and models of heating and cooling systems. You can also ask us about our commercial HVAC services. When you need commercial heating services in Barrie, we are your go-to resource. Contact us today to learn more. We offer quality care and reliable service for your business. ★★★★★ 22th August 2018 Ruth P.